- Popular American talk show host and media personality hailing from California. - Her TV show, The Oprah Winfrey Show, telecast nationally, has been running successfully since 1984, for the past 25 years. - Credited as the richest African American of 20th century, and the FIRST black billionaire - with a current net worth upwards of 2.7 billion USD (2008), and current annual salary of 385 million USD (2008). Also credited as the World's Most Powerful and Influential Woman by CNN and Time.com. What is Inspiring in Oprah Biography? Not too long ago, Oprah was an impoverished, child-abused, destitute teen mother! Isn't that a little far-fetched scenario to become the world's most powerful and influential woman, and a billionaire at that? How did that happen? A quick look at Oprah biography..
Oprah was born into extreme poverty, in a small rural town of Mississippi, USA, and was the daughter of a single, teen mother who worked as a housemaid. Her family was so poor, it was said that she had to wear dresses made of potato sack, for which she was picked on by local kids. And her childhood hardships did not end with physical suffering; Oprah was raped at the age of 9, got pregnant at 14, and her child died during infancy. After enduring years of abuse, Oprah ran away from home at 13. Despite these goings-on, she was good at school, however - she skipped grades, became teacher's pet, and managed to get to high school by earning scholarships. Soon, she became the most popular girl in school, winning national competitions and earning scholarships, that put her on road to college and higher education. And while still in high school, she landed a job at a local radio station, co-anchoring evening news. In few short years, she graduated to a daytime talk show in 1983, and within few months, boosted up the show's ratings from the last place to the first! And within a year, in 1984, she was given her own full length TV show, the now legendary "Oprah Winfrey Show", and when her talk show went national, she became a millionaire at age 32. Oprah is credited for her plainspoken curiosity, humor and empathy, that were believed to be the reasons behind the immense success of her show. So, what went wrong in Oprah's life? Everything - during her childhood years - except that she knew how to get past those nightmares, work her way through school, and make it all right in the end! 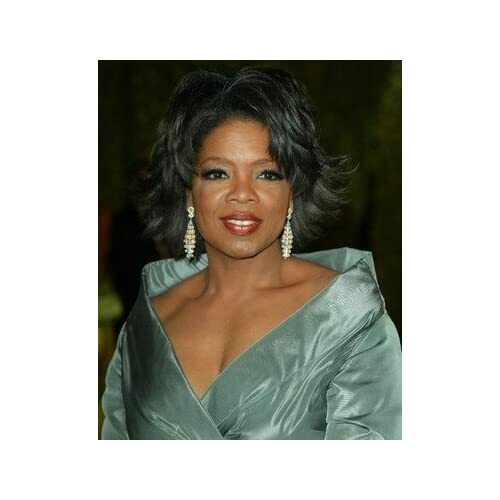 Oprah Winfrey is also known to be the most philanthropic African American of all time, and she donates more of her personal wealth to charity than any other show business celebrity in the U.S. Here is an interesting experiment by one woman who has devoted one year of her life living by every piece of Oprah Winfrey's advice on how to "live your best life", and has chronicled her experiences in a month-by-month account in her book Living Oprah.